Need an encrypted data connection for <-insert variety of reasons both questionable and legitimate->, be sure to check out the deal we have running in our Deals shop for VPN Unlimited. 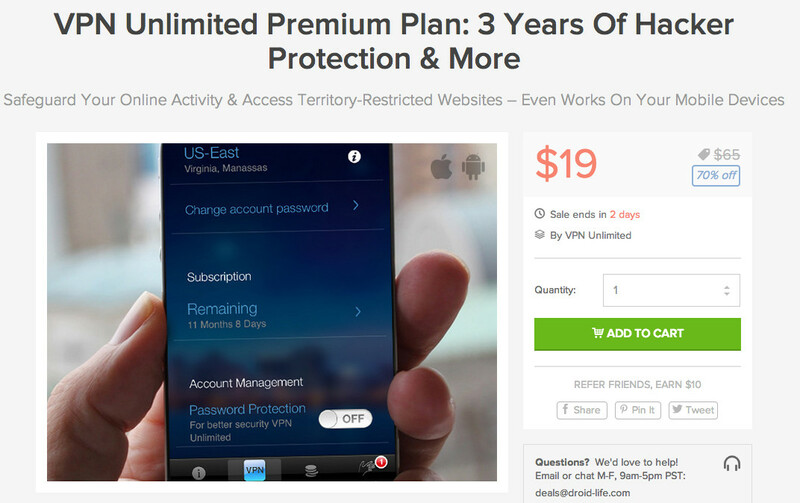 You can grab a 3-year premium plan for just $19, which is 70% off the suggested retail price. The VPN Unlimited Premium deal includes activation on 5 devices, which could be a combination of your computers and mobile devices. There is a companion app for Android or iOS, plus future updates to the service as well.